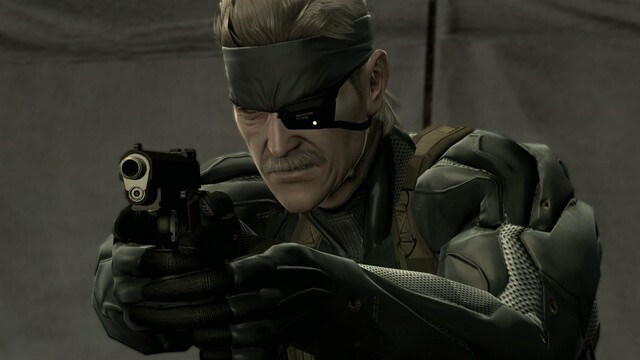 Despite confirming that he would have loved to have brought it to Microsoft’s console, MGS series creator, Hideo Kojima, has revealed the reason why Metal Gear Solid: Legacy Collection won’t be available for the Xbox 360: Metal Gear Solid 4 is just too chuffin’ huge. While MGS 4 can be squeezed on to a single Blu-ray disk, apparently it would need seven standard DVD disks, and that’s just too many. As a result, the Legacy Collection is bound only for PS3 some time later this year and, along with the trophy edition of MGS 4, will also feature Metal Gear, Metal Gear 2, Metal Gear Solid, the HD versions of Metal Gear Solid 2 and 3, Peace Walker, the Metal Gear Solid: VR Missions and a selection of Metal Gear digital graphic novels.